I call this creamy mushroom chicken, but really it is called Coq a Riesling. 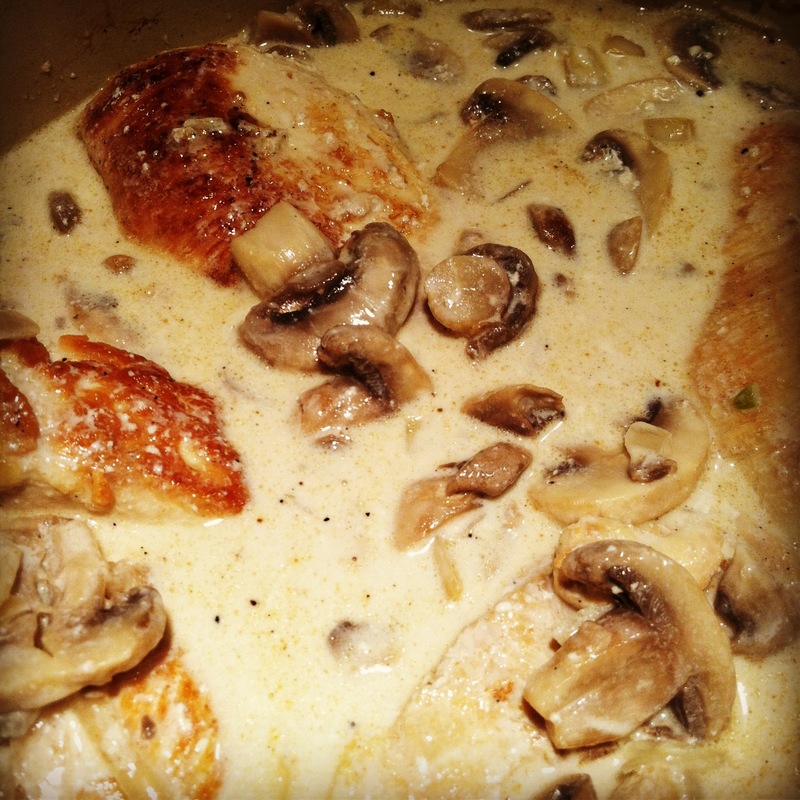 Chicken cooked in Riesling (a kind of white wine) with cream and mushrooms. Delicious and succulent. Here is how I made it. Chicken- Get whatever chicken is on sale. I used chicken breasts. I have used thighs, legs, and a cut up roaster. 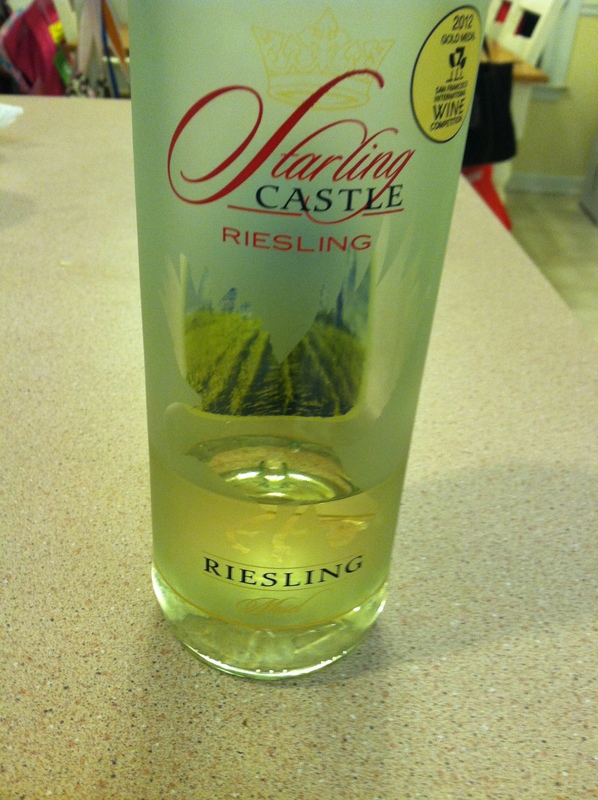 1/2 bottle of Riesling —-If you don’t have Riesling, use whatever white wine you have on hand. I am sure it will still be amazing! 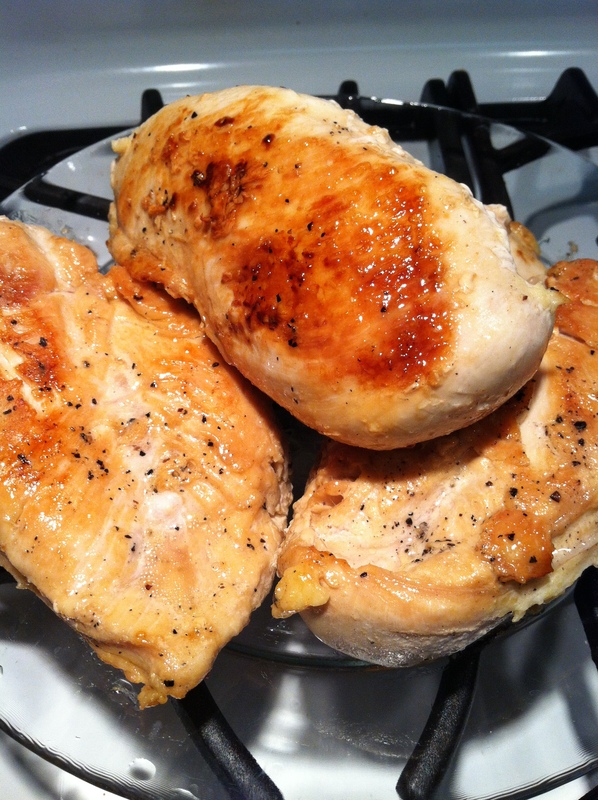 Cook your chicken in a bit of oil until brown on each side, about 8 minutes or so per side. Take them out and cook down your sliced onions and smashed garlic for about 6-8 minutes. Then add your sliced mushrooms for another 6-8 minutes. Add about 2 tablespoons of butter. Add 1/4 bottle of Riesling. Cook down for 5-6 minutes. Put in your chicken and add another 1/4 bottle of the Riesling. Yes, that was 1/2 bottle of wine. Just drink the rest. It won’t be good tomorrow. =) Cook for about 30 minutes in sauce. Take chicken out and add your heavy cream and cream cheese. Mix well. It won’t fully melt yet. Add back in your chicken. Put on the lid and cook until your chicken is cooked and your cream cheese has melted. Add to a bowl of polenta, couscous, or potatoes and a veggie. Of course, crusty bread is always a great addition!